As we speed towards the first preseason contest of 2013, you are hearing every day about guys like David Arkin and Ron Leary pushing through and having a legitimate shot at a starting spot along the offensive line. Forgive me, but I won't take any of these reports seriously for another several weeks. And perhaps, even then. We all need to remember a few things about the first few weeks of camp. 1) there isn't much along the lines of real news - meaning, with a multitude of reporters and a daily opportunity to talk with the coach at his press briefing, everything you hear will not constitute an actual story. Rather, what the media either perceives to be a potential story or in most cases, nothing at all. And more importantly, 2) Late July and August is a time to take it very slow with veterans. This allows younger players a chance to "run with the 1s" and that allows for them to be noticed. If they do well, then people project their ideas in the media of how this could materialize. But, coaches don't always feel this way. They just know they have practices to run while Jay Ratliff is getting healthy and need bodies to make practice even possible. But, lining up for a team practice on a Tuesday in July and lining up against the Giants on September 8th is a completely different animal. Training camp is often for experimenting with options and possibilities, but most of what you read is not real. Most of what you read is true only in the sense that we need "22 starters" in this practice and as of July 30, this is our 22. That does not have any bearing on September 8th. When push comes to shove, and when the games truly matter, then and only then will you see the spots which are actually open to competition. So, is David Arkin a real possibility to even make the roster? - something which would be a great accomplishment for a guy still hoping to play his 1st snap in the NFL in what would be his 3rd season. Maybe. But, I don't buy for one second that he is actually in the mix to start. Remember, this is the guy who the Cowboys were routinely scratching last season when Derrick Dockery was playing, despite having almost nothing left. Then, Nate Livings did a very solid job at left guard in 2012 and I see him as an easy starter in Week 1 if all things are equal health-wise. He had his moments, but overall, Livings is the least of their issues on the offensive line. Could he be upgraded? Sure. Could he be upgraded by anything on their roster? I don't see it in 2013. Now, right guard is another story. I have no issues at all with figuring out an alternative to Mackenzy Bernadeau there, and that is where one might project some solution from Ronald Leary (who I want to see in preseason action prove that he has developed mentally to the NFL game), Phil Costa, or Arkin. Bernadeau is nothing special from what 2012 taught us, and represents a spot where the Cowboys need better along the offensive line. So, as you are watching the preseason, key in that Livings is likely a starter if his body is holding up and that they need to figure out who the best of the rest of that group is to handle the other guard spot. The outside chance that Travis Frederick plays guard and Costa handles center is still on the board, but it sure seems that Frederick is already taking to the center responsibilities which will use his mental upside to make line calls and to make sure the Cowboys are picking up their blitzes properly. Looking back at 2012, there is no question that in pass protection the achilles heel came from 2 spots that both could be pointed back to the mental aspect of line play. They were blitz pickup and stunt pickups. In particular, when teams decided to run stunts and games at the Cowboys, the offensive line could just not make sure that each player was switching in an easy and timely fashion. We saw this again and again and with players developing better continuity this can go away. But, this is the time of year to solve that issue and that is why you want everyone available. But, where we should really focus - hamstring willing - is the battle at right tackle. Here, the frustrating Doug Free and Jermey Parnell should be locked in a real tussle to determine who will join Tyron Smith as bookends for the Cowboys line. Trouble is, we are still waiting for Parnell to be available due to his hamstring and this is not helping his chances. Last December, Parnell was allowed to basically rotate at right tackle with Free after the incumbent had a disastrous night against the Eagles in which he surrendered 2 sacks to Brandon Graham and 2 penalties for good measure. This was one of his worst performances in a season that had several games Free would like to forget - Tampa Bay, Cleveland, and Chicago come quickly to mind as well. He committed 17 penalties, which led the NFL at his position, and also conceded 6 sacks, 4 QB hits, and 41 QB hurries. It was clear that he lost confidence and when a tackle loses confidence, he then becomes reactive rather than proactive. Free also lacks some of the top level strength which you would prefer, and was never able to drop his anchor against stronger pass rushers and would get into trouble there. And that is why Parnell is so interesting. Parnell only played 267 snaps last year (compared with Free over 1,000), but when he played he demonstrated superior strength and had very few issues. He first was thrust into action when Smith was hurt in the Cleveland game and was inserted into a game where the Cowboys OL was already under siege. That game was not his best work, but as he got acclimated, he became a real candidate to overtake Free. In the final 4 games, they rotated the right tackle spot where Parnell was given the 2nd and 4th possessions in each half of those games. They stuck to the recipe, save for late in games where they altered the plan one time and left Free in there. Honestly, Parnell did very well, but Free also picked up his game quite a bit. It makes you wonder about rotations - something defensive lines always do, but offensive lines never do. The freshness late in the game always is given as a distinct advantage for the defense, so why wouldn't the offense try to counter it with the same tactic? Maybe this is a development for the sport in the next decade. In watching all of Parnell's snaps recently, I felt very optimistic about his 2013 prospects. The Cowboys made a very wise signing of Parnell in 2012 for 3 years for $4 million and have him at a wonderful salary. This also put them in a fine leverage position with Doug Free and now you can better understand how they were so relaxed with the issue last spring. They liked Parnell to start at right tackle over Free, but that would require Parnell showing up healthy and ready in Oxnard, something they are still waiting for. When they are both healthy, it seems that this is a very close battle. Parnell is so big and strong that getting around his edge is very difficult. He is also quite strong in run blocking as long as the player he is assigned to is close to him. Where Parnell gets into trouble is when he needs to get to he 2nd level and get his mitts on a smaller, quicker player. There, he resembles Frankenstein a bit, and this is a department where Free has a distinct advantage. But, for me, that is not enough to compensate for pass protection and Parnell's ability to stay out of penalty troubles. But, you cannot have a competition without 2 players showing up for it, and that leads us back to the Parnell hamstring. He is supposedly a week away, and we will see about that. But, if you want thoughts on the opening day offensive line, it is Smith-Livings-Frederick and then, the battle at right guard and Free, until Parnell proves he has taken the spot. But, as far as I can tell from 2012 tape, Parnell is the better right tackle. He simply has to show it. I was asked by one of you to review the final results of Decoding Garrett 2012. For those new to this space, you may be interested in knowing that since 2008, we have catalogued each offensive snap of the Cowboys from a standpoint of personnel group and then what type of play it was (run or pass). This helps us track the progress of the offense in greater detail than your average analysis piece, but more importantly, it helps us compare apples to apples when looking at how the team is doing offensively. Given that play calling has been delegated to Bill Callahan in 2013, we do have the opportunity to re-name this study, but I do think since Garrett is still the mastermind behind the offense and the man sitting at the head of the table when game plans are designed, we likely will keep it just the same. For those who are new, the reason we look at the offense from a personnel grouping point of view, is that it replicates the actual discussions that the coaches actually have - rather than this fantasy football viewpoint that many fans obsess over this time of year. If you play fantasy football, that is all fine - millions do, but it has very little use from a "real football" standpoint. Teams do not care about personal statistics and they understand how a player drawing coverage is just as valuable to the big picture as his teammate who is making all of the catches as a direct beneficiary of the player who is drawing the coverage. Dez Bryant, in other words, can really help the team with a 2-catch performance, but his fantasy owners will be angry. Here, in this space, we don't care at all about fantasy football implications. There are plenty of places on the internet for you to get that information and analysis. Here, we are attempting to see what the real performances mean, what Jason Witten's coverage means to Bryant, what play-action passing does to the safeties, and what a real running game could do to the linebackers in helping free up the shallow routes. It also keeps us from getting caught up in the raw numbers of statistics and how misleading the Cowboys yardage totals were in 2012 and how meaningless they truly were in terms of the win-loss totals. Garrett cannot believe that his offense was one of the more productive offenses in the NFL. There is simply no way he believes that. Incidentally, the 376 points they scored in 2012 ranks them 10th in the NFC out of 16 teams. That is 1 point better than the Bears, 4 points better than the Lions. And exceedingly more productive than the Panthers, Rams, Eagles, or Cardinals. So there is that. They were 6th in the entire NFL in yardage, but I think most of us watched enough Cowboys football this year to see that much of that came during abnormally long stretches of "garbage time" football that the Cowboys offered in a number of home blowout losses. Regardless of the results of 2012 and the reasons the Cowboys compiled impressive and hollow production numbers, the point is that they did move the ball with the effectiveness of a playoff team, and yet missed the playoffs. Most times and in most places, it then is time to blame the defense. Not here. We remained steadfast in the idea that the Cowboys offense - with very acceptable levels of health all season - was as frustrating and ineffective as it has been under Garrett. overall, with roughly 3 games where you say the offense did what it needed to do (at NY, at Balt, and Pittsburgh) and 13 other games where the offense needed to show more than what it did to get good grades, I have very little use for hearing where it ranked in yards and points. Granted, in some of those 13, the Cowboys showed great grit and determination, but nobody would confuse will with a fantastic offensive performance. And least they shouldn't. This offense was almost completely spared of injuries (comparatively speaking) and yet did not live up to the resources invested in it by any stretch of the imagination. Looking at boxscores and totaling numbers is fun, but meaningless if you are constantly falling behind and then facing prevents to catch up. Those numbers don't matter at all. I appreciate the man defending his performance and thereby, his job security, but I found his optimistic appraisal of 2012 and the offense's performance to be misleading and I bet he would agree once he dug a little deeper - which I know he has in private. Below are the final numbers from a standpoint of production per personnel grouping. I assume everyone is up to speed on the definition of each of the groups, but if you are not, please click on this link and read up. Granted, that is a lot of numbers. And without explanation, it can certainly be confusing. So, just direct your attention to "S11" which is their default setting for the 2-minute drill, 3rd Down offense, and of course, the "we are way behind and need to pass every down to have any chance" offense. And, as you can see, that was nearly half of their snaps and over half of their production from last year. We elaborated on the evils of S11 in this study which looked at 6 years of the Garrett offense from back in the spring. Now, let's look at the same chart from above, except below, we will show you the yards per play in each category to show the production levels for each situation. "Now this shows the performances with a bit better clarity. If you look at the running averages in the "21", "22", and "23" packages, where the Cowboys ran 155 runs for only 504 yards for only 3.25 yards per run, you now see why they don't have use for a fullback anymore. They were awful running with a fullback. Not saying it is all Lawrence Vickers fault, but rather that defenses would stack the line when Vickers was in the game and the Cowboys OL had no answer for the physical run defenses." They also spent very little time in an "under center" offense, which then prevents from ever using play action passing or a balanced offense at all. So, there is a review of the 2012 offense. Don't be fooled by the rankings or the yardages or the fantasy football points. This offense was very poor and needs to get better. They know this and now look forward to their all new and hopefully improved look in 2013. Every Friday/Saturday of Cowboys' season will be a mailbag of sorts that will allow us to address anything that is on your mind and anything that is on mine that didn't make the cut for the daily blogs portion of our week. Email me anytime you wish at sturm1310@me.com or find me on Twitter at @sportssturm and I will try to get you in the mix. Sure. That actually isn't that difficult for me. And I will do so by presenting a number to you. So, who are the new teams? In the NFC, you can see how Chicago will make a case, New Orleans will be fighting to get back in, but then the familiar foes who meet on opening night - the New York Giants and the Dallas Cowboys seem the closest to getting in. You can see that I somewhat sidestepped your question from reasons the Cowboys, specifically, should fancy their chances at the postseason. You know I have major concerns with their depth and their ability to handle this much strategic upheaval in year #1 of Bill Callahan calling plays and Monte Kiffin's return to a rapidly changing NFL. But, the NFC is not in a spot where a Top 6 finish should seem unattainable. Is that your greatest case for getting in the playoffs? The fact that every year the NFC seems to put 3 new teams in the tournament? Why not. It is July, after-all. Question#1: What will rookie WR Terrance William's impact be this year? Question#2: Give us your analysis of our depth on the O-line? Question#3: If you didn't have a press pass, how much would you pay to see a Cowboys pre-season game? Now, this guy knows how to submit for a mailbag! Ok, here we go, Jeff. 1) - I think his impact can be substantial. Now, please understand that I am not a fantasy football player nor do I really care about one's fantasy football impact - it just isn't my thing. So, if you are asking if he is a fantasy sleeper, I don't really know. But, if you are asking if he is going to get every opportunity to get on the field and to use his very "ready for prime time" skill set, then I think so. Clearly, with the introduction of more "12 personnel", that does not allow for 3 WRs on the field at the same time. But, there are a few variables in play here, not the least of which is our cynicism on whether Jason Garrett and Tony Romo are going to turn their back on "11 personnel" which is something they did almost the entire season last year. We may find that given the issues in the offensive line, that 11 is still their most dangerous personnel group and that, of course, requires 3 wide outs. Honestly, with how well they ran it last year without a legitimate option as a #3 WR, it makes you wonder what a season of Miles Austin in the slot could be like. But, tactically, base offense out of "12" should be more efficient. And that also has Terrance Williams impact as he is a guy who will be the understudy for Austin and Bryant, 2 guys who are not exactly injury-free over the course of their runs here in Dallas. I think he can be terrific and a real impact guy from Week 1 of his rookie year. 2) - depth on the offensive line is impossible to rate and debate until the bodies arrive, so I am not attempting to fully sidestep this question, but without Nate Livings, MacKenzy Bernadeau, and Ron Leary in the mix at guard, you are likely without guards #1, #2, and #3 on the chart. Suffice to say, they should be better, but I assume it will not be substantially better because when most of us thought they needed 2-3 new starters, the Cowboys decided on only 1. Keep in mind, the Cowboys credibility on this issue is low because they have always thought the OL would "fix itself" or "be alright" the last few years and were proven absurdly optimistic and foolish. 3) - Personally, I would not pay much at all for a Cowboys preseason ticket. But, I have a son who is the age where he is really into football, but perhaps not ready to sit and watch a 3 hour game. If you have young children who are just getting into Cowboys fandom, you might want to take them to a preseason game. I found tickets on Stubhub for almost nothing. I am serious. Less than $10 for the 3rd preseason game in 2011, and took my 6 year old boy. He got to see the stadium, NFL Football (sort of), and when he had enough in the 3rd Quarter, we left and I wasn't disappointed to miss the 4th Quarter of a preseason game. It was a nearly perfect experience. Had I paid $200 for his ticket and it was a critical regular season game, I would not have been receptive to him wanting to leave in the 3rd Quarter. So, if you have little kiddos, preseason is a great run through until you are convinced they are ready for the big games. A couple of camp reports have said that the Cowboys are moving to more zone blocking on offense. At face value, it seems like a good idea to simplify blocking assignments and create directional holes for running backs, but this begs two questions for me. 1) what are the advantages and disadvantages of zone blocking as opposed to man to man. 2) why didn't they do this last year when the line was struggling with run blocking? was the line actually struggling with run blocking last year? Well, Willis, this is where sometimes the reporting of the team actually does more harm than good on helping the fan base better understand what they are looking at. That might be, on the surface, partly because the media is never asked to show any knowledge of schemes or understanding of offenses and defenses when they get their jobs. Who would test them? So, you have stories and information passed along that misleads the public. Not intentionally, but if anyone is unclear on whether the zone blocking scheme is new this year, then it seems highly likely they are not sure what they are looking at. The Cowboys ran a huge amount of zone blocking last year. In fact, without keeping the totals completely, I imagine the number of runs they had which were out of zone schemes and principles outnumbered the runs that were out of man schemes for most of the year. That being said, allow me to answer the questions the best I can. 1) advantages and disadvantages of zone blocking? Well, it depends on your line working in concert and as opposed to having a clear assignment on who it is you are supposed to be digging out, it stresses an area that you are to cover - very much like zone defense in basketball. If it is a zone stretch to the left, for instance, the entire line takes one set step and then advances to the left in unison. They are looking to do one of two things. Force the man in that spot also to the left with them, which could open up that cut back lane that everyone discusses in zone principles for a RB (plant your foot the second you see a window and go!) or seal the player and thus set an edge to the outside. The advantages are that this allows smaller, but quicker linemen to be used. And even though you would never prefer smaller lineman in a vacuum, that clearly is the bin that has a greater supply. There are very few Joe Thomas/Tyron Smith types. But, Phil Costa and David Arkin? There are many, many of those smaller types. In fact, the more we go, the more tight ends are being beefed up to line. This is a result of looking for quick feet from OL prospects for zone blocking where your OL is going to be on the move quite a bit. Disadvantages? This is a touchy topic because there are very few disadvantages if you run it well. The Denver Broncos and Alex Gibbs ran it to perfection and changed the way we thought of traditional running schemes (pulling guards and smash-mouth football) and when you run something like he did, it is tough to look at disadvantages. It is said that these teams aren't overly physical and can be bullied, but again, those Broncos won almost every game for 2 straight seasons, so what does that really mean? 2) as I said, they ran it more than man-blocking I believe. And yes, they struggled with it quite a bit. Here is a blog I did after the Bears game on all of their negative running plays and another from the Tampa Bay game and you can see that several of them are zone running plays. Basically, as a fan, if you see all of the linemen going in the same direction, that probably is "zone". If you see players vary their blocking direction at the snap, then it is likely a traditional "man" blocking scheme. It is way more complex than that, but it seems like that is a good place for the average fan to start. That stuff is all over the internet for those who wish to better understand schemes and principles of football. I am certainly not recommending it for everyone, but if your profession is to follow the NFL for a living and tell your readers/listeners what is happening, you might want to get familiar with things like this, lest you give out error filled information. It isn't too difficult to pick through the public speeches of Jason Garrett to see the items that he deems worthy of pounding home on his 2013 campaign trail. If you listen to a few of them, you do pick up on the words that are most often used, including "passion", "energy", and of course, one that seems to have gone missing early in camp '13, "process". Not sure if he has retired the term, "process", but at least for now, it has been taken out of the rotation. However, this spring and summer, he has reflected quite a few times about how the program is being built with a certain type of player and a certain type of roster. During these quick moments of reflection, he generally mentions a number of "17 players" that were here when he coached his 1st game on November 14, 2010 at the New Meadowlands Stadium against the New York (Football) Giants. You may or may not remember this chart we made at the end of last season on "How the Cowboys were built", but either way, here it is with the different colors designating the different coaching regimes. Top Silver is Garrett, Blue is Phillips, Bottom Silver is Parcells. We will wait until the 2013 additions have made the team to redo this chart with the appropriate additions and subtractions, but for now, that gives you a pretty good idea of the soft underbelly that 2008 and 2009 presented the 2013 roster. As you can see, 2010 is looking to be a very plentiful season that should help this team recover. Everyone can see that Dez Bryant and Sean Lee both have a chance to be cornerstones here for the balance of their careers like the greats Witten and Ware, perhaps, but don't lose sight of the others added during that season: Barry Church, Jermey Parnell, Phil Costa, and Danny McCray all were undrafted free agents and Parnell was a practice squad signing from New Orleans. All are players that have significant roles here today of either starters, depth, or special teams contributors. Same for Sean Lissemore who was found in the 7th round that year. We won't mention again the football ramifications of losing a young bull like Josh Brent, but safe to say that he would likely have played 500 snaps this season if he hadn't made another horrendous life decision last December. Given that this was less than 3 full seasons ago, it does shed light on how quickly things change in the NFL. Only 3 offensive and 3 defensive starters remain from the team that took the field that day. Today's rosters are largely built through the draft as there are no free agents from other NFL teams on this roster from before 2012 except for the Cowboys long snapper, LP Ladouceur. Jerry Jones and Garrett have quickly turned this thing over. We think that the NFL is a great departure from college football and the mentality that every season is a new team that we all expect in the college ranks. But, perhaps this chart shows us differently. Sure, there are a few players who can stay a decade. But, overall, when you have a guy like Orlando Scandrick that is now one of your 10 longest-tenured Cowboys, you can see that you better be careful when you a buy a jersey of a young player. There is very little evidence that they are promised to see their 5 year anniversary in a Cowboys uniform. I imagine there are plenty of Felix Jones jerseys available on EBay these days. So those are your 17 Cowboys who were here when Garrett took the job promotion. I figure you can dazzle those in the next cubicle over with guys like Barry Church and Danny McCray. Even Parnell was added a month before the change was made at head coach. And all of those names are now veterans for the young guys behind them. Hard to believe and yet it is the reality of the NFL. Often the press briefings here at training camp over the years are the perfect companion to the Pacific breeze for taking an afternoon nap. There is a lot of talking, but aside from the occasional confrontation (more likely with Bill Parcells) or the interesting anecdote about the good ol' days, there is very little that comes from these briefings that shocks or alarms the listener. They happen, the media covers, and the public either tunes in or tunes out depending on their level of addiction to football in July. However, if you listen closely, you can always hear a coach say and then repeat many coaching initiatives that he will be taking to the practice field. He will say something, elaborate, field follow-ups, elaborate more, and then repeat as the journalists scribble away on their pads for their upcoming stories. This year, like so many other years, the game theory initiative is clearly the familiar theme of turnovers. Generally, turn the ball over less and win more. Take the ball away more and win more. Combine the two and you are almost invincible. Ignore the two and you almost have no chance. This is something we talk about every year and as much as this game evolves, this truth never changes. Of course, that does make you wonder if takeaways are the cause or the effect, but the correlation is difficult to dispute. In 2012, the regular season turnover margin W-L record for the NFL was 162-42-1 (79%) for +1 or better, and a +2 or better got teams to 98-12 (89%). There is little room for discussion here it seems on the questions about this stats importance. The 2012 Cowboys, a team that had very few takeaways, follows this trend quite closely - They are 4-0 when winning the turnover battle, 7-1 when even or better, and 1-7 when they are a -1 or worse (with their lone win against Tampa Bay in Week 3). ....of the 8 teams still remaining in the league, here are the rankings for fewest giveaways of each of the offenses: t2nd, t2nd, t2nd, t2nd, 6th, t7th, t7th, and 16th. Basically, Denver is the only team at league average with giveaways. Every other team is ranked in the top 8. Put another way, if you are ranked in the top 8, you have a 87% chance of playing this weekend. If you rank between 9th and 32nd in the NFL in giveaways this season, you have a 4% chance of still being alive in the playoffs. Giveaways are something that is difficult to regulate, especially if you have pre-determined that your offense is going to emphasize the pass far more than the run. The Cowboys have determined that their offense is based on the arm of Tony Romo, and to then ask him to amass 4,000-5,000 yards, 30 Touchdowns, and numerous rallies - but never throw a pick - is just unreasonable. There will be interceptions, partly because he is behind a lot and partly because he is under duress a lot. Also, partly because he may not have quite the arm talent of the very top QBs in the league, but is asked to mimic their abilities. Even though his draft evaluation was flat-out wrong, there are reasons QBs go in the 1st round and reasons why QBs go undrafted. Whether it be build, footwork, or arm strength, we must assume there are some physical differences between Peyton Manning and Romo, too. I said all of that to say that Giveaways are going to happen. Limit them, but expect a playoff team to have about 20 a season. The Cowboys had 29 in 2012. That number is going to have to shrink considerably. Thus, taking Travis Frederick and a few more weapons on offense so that Romo doesn't have to do so much on his own. But, let's focus on defense. That seems to be where much of the rhetoric lies. That seems to be the copy point that most explains why the Cowboys went directly to Monte Kiffin and his scheme in the offseason. It surely wasn't because the Cowboys had the perfect talent to fit his scheme as there appear to be many questions about the viability of that fit. But, Kiffin teams get 2 things - chaos and takeaways. This was no better on display than Super Bowl 37, when the Tampa Bay Buccaneers steamrolled through the Oakland Raiders in San Diego. It was the defense of Monte Kiffin and Rod Marinelli, squaring off against the offense of Bill Callahan and Marc Trestman (now the head coach of the Chicago Bears after disappearing from the NFL for almost a decade). If those numbers don't rock your world, I don't know what will. That defense was dominant and tossed teams around the lot with ease. They were best in the NFL in all 5 of those categories above. Yesterday, Jason Garrett talked about the effectiveness of the scheme, "I think there is a compelling argument to be made that teams that play more zone than more man," he said for creating turnovers. "Often times when you are playing zone, your eyes are back towards the QB. Many times when you are playing man to man, your eyes are on the guy you are covering. So your opportunity to see the ball and have it in front of you and to make a play on the ball is probably better when you are seeing it all of the time." He went on to say that of course there are compelling reasons to play man to man, as well, and we can of course surmise that guys running free in your secondary would be one of those. So, there you go. Chicago runs their version of the Kiffin defense with Lovie Smith and Marinelli, and they forced 44 turnovers last season. 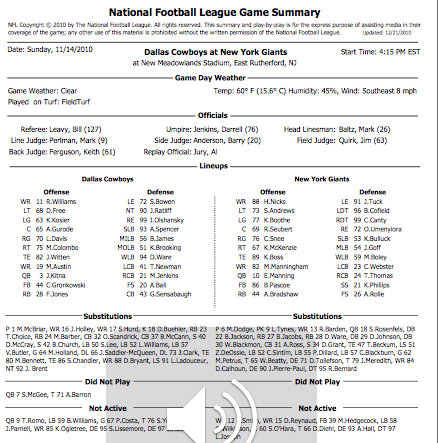 The Cowboys played plenty of man coverage in their Rob Ryan defense and forced only 16 turnovers. It must be the scheme, right? Well, of course, not completely. 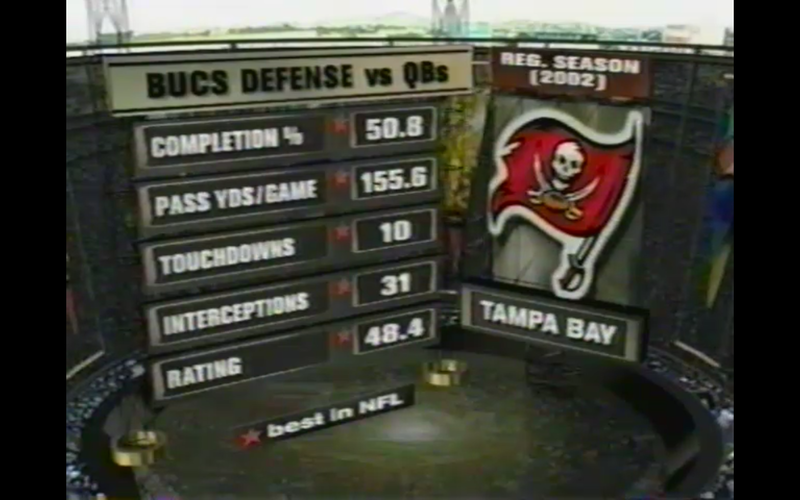 That Tampa Bay team in 2002 had guys by the name of Warren Sapp, Simeon Rice, Derrick Brooks, John Lynch, Ronde Barber and a number of less highly rated players who had the ability to whip the guy in front of them and make a play. They had a 3 technique who flushed the QB out of the pocket, and 2 defensive ends who beat the guy who was blocking them. Rice on one side, Greg Spires on the other. They had 3 athletic linebackers who dropped and attacked with a cohesion and union that was quite a pleasure to watch. They also had Barber as a nickel back who played at times like a linebacker in his speed and his joy of tackling in the middle of the field. Then, they had a pair of safeties, Lynch and that Super Bowl's MVP, Dexter Jackson, who clued on the ball, jumped routes, and created turnovers by being aggressive and opportunistic. I have heard plenty of people talk about whether the scheme itself has been outgrown by the league and I don't believe that to be the case. Heck, just watch what the Bears can do defensively in the last few years and for that matter, what Seattle is doing is not that far away with their style of physical corners and a 4-man rush while dropping 7. But, the question of this camp will be whether that scheme can fit these players and then can that result in way more than just 16 takeaways. Surely, any team that finishes -13 and still has a record of 8-8 can say that this is the easiest road to 11-5 or 10-6. Just get back to even in the giveaway/takeaway competition and there will be football in January in Arlington. As you can see, only once did the Cowboys hit that playoff team average in the last 5 seasons. Can the same players simply have takeaways emphasized and see a huge improvement? It does make you wonder when we talk about playmakers remaining consistent throughout their defensive careers. Those players who find the ball seem to do it even when their uniform changes. But, again, the thing that really jumped out in reviewing Tampa Bay and Chicago is that those fronts had dominating players blowing through the protection to put the QB on the run. We have to wonder if the Cowboys have the proper version of Sapp or Tommie Harris to do that from the interior in Dallas at this point. If they do, this number could shoot back up. And the Cowboys are resting quite a bit of their hopes for 2013 on this single statistic getting fixed. 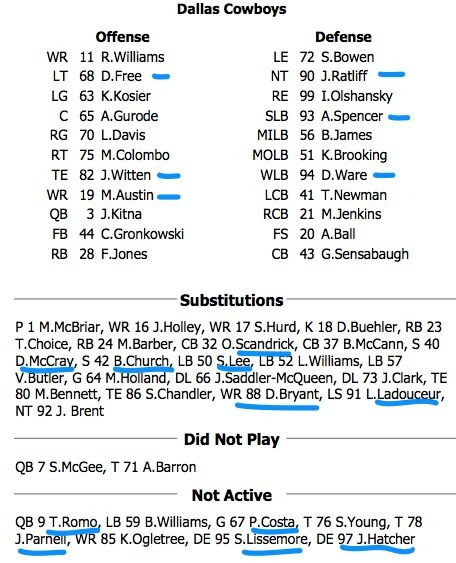 It may only be July 22, but the depth chart is already being tested for the Dallas Cowboys as on July 21, they lost a key member of a thin defensive line to what appears to be a season-ending achilles injury as Tyrone Crawford, a 2012 3rd Round pick, went down in a heap early in the practice #1. Regardless of the propaganda peddled by Jerry Jones back in April, the defensive line is not a position of great strength by any means. They were incredibly thin as a starting 4, with at least 2 players (Jay Ratliff and Anthony Spencer) attempting to play positions that do not appear ideal to learn for both size reasons and age reasons - and now their more promising reserve goes down for the entire season. Crawford, of course, is the guy that came quickly to mind when they would internally discuss replacements next winter as 2 of the starters - Spencer and Jason Hatcher - both head into unrestricted free agency. He could still be that guy, but as far as having any sort of preparation for the 2014 season before he is handed the job has now become very unlikely. And, more urgently, let's remember the entire focal point of a Monte Kiffin/Rod Marinelli defense; that is, they will base most of their defense on the premise of generating a pass rush with just the front 4 getting to the QB, and dropping 7 into zones (often 5 shallow/2 deep) and a 4 man pass rush is born almost completely from having a rotation of 6-8 linemen who can rotate and stay fresh throughout 4 quarters and sometimes 50 pass plays. So, to lose the only regarded reserve who can offer some versatility and cover multiple spots is not a small matter on any level. If the Cowboys had stayed at No. 18, many experts believe the best fit would’ve been one of the following defensive tackles: Florida’s Sharrif Floyd or North Carolina’s Sylvester Williams. Floyd was projected to go as high as No. 3 but slipped to the Minnesota Vikings at No. 23. Obviously, there is going to be gnashing of teeth about passing on Shariff Floyd even more the day when Crawford gets hurt, but understand, this is what the set-up was even when Jay Ratliff was unable to pass the conditioning test without pulling his hamstring. They just don't have very many options on this key spot on the roster. They were taking an enormous gamble by not addressing the defensive line somewhere with their 4 picks in the top 80. That was already true with a healthy Ratliff and a healthy Crawford. Now, I am really not sure how we can expect Kiffin and Marinelli to generate a proper 4 man rush through 4 quarters (and one that is stout against the run) without having enough pieces. This isn't about Sharrif Floyd - although the selection of Floyd would have allowed Crawford to slide back to your 3rd best interior guy or your 3rd best outside man. Then Crawford and Sean Lissemore are part of a 7 man rotation that now has just 5 (assuming Ratliff can start 16 games). And this isn't also about the folly of taking offensive linemen - because they needed that, too. They also needed depth at WR, RB, and a plan about safety. What they addressed in the draft, with the possible exception of using such a high pick on a 2nd TE, were all sound football decisions that filled needs that were obvious. What this is more about is the macro view of Dallas Cowboys football in this current era. It is feeling devastated about losing a reserve lineman on July 21. It is about scrambling and wondering if someone is going to cut a guy who can instantly beat everything you have on your depth chart to fill his role - and knowing cuts won't happen for a month. When you have too many holes you are in a situation where there are no wrong answers (any pick you make will address a need, most likely) and there are no right answers (no matter who you pick, there will still be some major needs that don't get addressed). This is the curse of the 2013 Cowboys draft. They had needs and needs and needs. They had too many holes and not enough plugs. They shocked the NFL with all of the street free agents that they signed mid-season (in 2012) who stepped right onto the roster and into the huddle because of their absurd lack of depth. They could not afford injuries in a sport that injuries are part of the deal. So, when they entered this weekend, they were at a distinct disadvantage against the league for 2 reasons. 1) they had more needs than your average team and 2) they had fewer picks than your average team. When you do look at those NFL Draft grades that I asked you to ignore, you will find that it starts with your pick load. The Ravens and 49ers are celebrated for their awesome draft. Well, they entered with the 2 most picks. Green Bay was congratulated for their draft. Well, they had 10 picks on Day 3 to use and trade with. Minnesota graded well - I should hope so with 3 1st Rounders. You will generally see that the teams with volume are going to hit the target more often. And this is why the Cowboys operate from a distinct disadvantage. This is the macro view. They butchered several drafts in a row by most counts. 2006-2010 have very little left to show for it. We have discussed this at great length and if you compare them with the power teams in the league, you will see that the issue lies there - not with what they do in the 2012 or 2013 draft. Imagine a car in a race that is 4 laps down before it finally gets its set-up right. It would make no sense to criticize them too hard for whatever happened after that. They were too far behind to recover. And that is where the franchise stands. Too many holes and no matter who they take, it is the wrong answer. This really is just the current situation. A massive hole from the 2008-2009 drafts that now comes home to roost when players from those 2 drafts are hitting the start of their 2nd contracts and their NFL primes on other teams (contenders). This massive hole does not take months to dig out of, but rather years. I believe that the Jason Garrett-led drafts might have a chance to fix this, but that won't be realized until they, too, hit their 2nd contracts and their primes in the 2015-2016 seasons. On July 22, 2013, nobody wants to hear that noise. Losing Tyrone Crawford hurts. But as you can see, that is just the result of Mike Jenkins, Felix Jones, Martellus Bennett, Bobby Carpenter, Roy Williams, etc. Everyone in the NFL gets injuries. Just like in real life, everyone gets a car accident or an unexpected expense of $1,000 or $2,000 once in a while. Some people have money in the bank where that does not cripple them, and others are left without a solution. Unfortunately, there are no savings accounts right now in the Cowboys talent bank. In 2013, they are already scrambling. The 2013 NFL season represents the 18th year since Super Bowl 30 for the Dallas Cowboys. To this point, 17 seasons have been played since they won their 5th Super Bowl, and 281 games have been played during that stretch (regular and post season). There have been some good times and some good teams, but given the unreasonably high bar that Cowboys' teams and eras of the past have set, the final results of each of those 17 seasons have left their vast fan-base with feelings of disappointment. They have become accustomed to better. It is not a matter of deserving anything, because that is not how sports work. But, if you would have told the millions of Cowboys fans on that glorious night in Tempe, Arizona, when Jerry Jones held a Lombardi Trophy that did not require Jimmy Johnson's direct assistance, that the next 17 years would include nothing but "break-even" football, it would likely not be believed. To be fair, if you deduct the playoff games (2-7), the record shifts to 138-134 through 17 seasons. That, of course, comes out to an average record of 8.1 wins and 7.9 losses per season year after year. Since 2006, the year Tony Romo became their "QB1", they have a 65-51 mark (64-48 regular season) which equates to a average record of 9.1 and 6.9, and does account for one of those 2 playoff wins since Super Bowl 30 (the other being the wildcard round win against the Vikings in 1996). Jason Garrett took over as coach of the Cowboys at midseason of 2010. Since that time, he has coached the Cowboys in 40 games, compiling a record of 21-19. He has not been to the playoffs to this point in his coaching tenure, which stands as a large impediment to any progress he has made in solidifying a roster and building a program that might be heading in the right direction. And so, with 2011 and 2012 both being 8-8 seasons, the Cowboys start another training camp with optimism in their words and a fresh start in their minds. They will talk about winning football and ideas on how this particular season will be different from the others. They will, Jerry, especially, even mention the Super Bowl as the final destination and goal and talk about a window being open and trying to keep it from closing. These are the things we do as we go to training camp with the Cowboys year after year. And in 2013, where optimism has been beaten down by the teams that have come before them, you actually can sense a fan base that has morphed into numb and at times, hopeless about the present condition evolving into that of a perennial contender. And, the more I look at this team, the more I do wonder if this will be one of those years where a team does play at a level that even surprises their own fan base. I think this 2013 version can be pretty good, but like its predecessors, the margin for error is not going to be very big. Yes, they have some very good talent at most starting positions. Yes, they play in a division with teams that do not seem like impossible obstacles in their path. Yes, they do seem to have new scheme ideas and strategies that work on paper. And yes, they have a collection of veterans that are tired of 8-8. But, of course, as we have seen in the past, injuries always hit and they don't try to be considerate of positions where you can afford the loss. Even with a reasonably manageable schedule, this team has always found it tough to navigate through long stretches without a stumble. New schemes are never as easy to figure out as they appear on paper during June and July. And when you are 8-8, you understand that 2 plays - last year a Dez Bryant finger tip and a Dan Bailey kick in Baltimore from being 10-6. Of course, as the wins at New York, versus Cleveland, and at Cincinnati showed us, they won some games by the skin of their teeth, too, and weren't miles from 6-10, either. I absolutely look forward to ever year's trip to camp, but the experience of 15 Cowboys' camps in a row for me has taught me to measure bold claims and perfect optimism with a fair amount of realism and understanding that guys in these sports are wired a certain way to always look at things with the best case scenarios in mind. They know that bad things are ahead, but they have no choice but to push forward with a brave face in July and August. It is a new season. New results are in their grasp if they make the right decisions along the way. Added cast members will now coordinate a new defensive look. Monte Kiffin and Rod Marinelli have more knowledge than any 1-2 defensive coaching combo could possibly provide. They will push this team to create turnovers and negative plays and become a disruptive and physical defense like their other stops in Tampa Bay and Chicago. On offense, the discussion of play-calling and a more determined emphasis on being physical and running the ball behind a powerful offensive line will be hashed out plenty in the next few weeks. The Cowboys poured almost all of their major draft resources into plugging offensive holes. And, it is exciting to see what they have done as Travis Frederick, Gavin Escobar, Terrance Williams, and Joseph Randle all bring tons of ability and youth to the table that should make the offense run more smoothly and effectively. 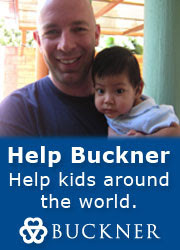 Over the next few weeks, we will tackle as many salient topics and questions as possible. We will review 2012 with a microscope and try to sort through what applies to 2013. We begin another journey with this team as they try once again to work their way up that hill. They have never been a bottom feeder (well, Dave Campo's era might have been), but they have also ceased to be a heavyweight over these last 17 seasons. They have just been stuck in the middle, without ever moving too far up or down the standings. Right in the mix for the final playoff spots until the end, but recently, just on the outside looking in. It is an amazingly tough league. 32 teams all hit camp with optimism about how they can figure out how to be one of the 12 teams that will play in the tournament in January. History tells us that each season, half of the playoff field changes to new teams. Can the Cowboys be there in that group of new teams? Absolutely. But, it will require them answering many of their questions with positive answers. It all starts today, as they board their planes to California. 1st Practice is Sunday at 4pm Pacific time. From there, nobody knows what lies ahead. But, those of us who love the sport cannot wait to begin to find out. As we continue to examine 2012 as a primer for what needs to be accomplished heading into training camp of 2013 and beyond, we should follow up our breakdown of the offensive numbers with a thorough checkup of the statistics that the defense was responsible for. Clearly, this is less relevant when you consider the wholesale adjustments to the defense moving forward. They spent the offseason changing the coaching staff and the scheme of the defense and asking much of their 3-4 personnel to now simply switch to the 4-3. Most NFL experts would argue that this is a very unwise endeavor as players are often identified as one or the other on draft day and yet now the Cowboys are asking their entire Front 7 on the defense - who were all drafted because they were tailor-made for the 3-4 scheme to not only learn but perform at a high level on the 4-3. Much of this is also mitigated by the fact that the Cowboys did run a very multiple and versatile front with Rob Ryan in the last few years and that they have very talented players who should work in any scheme, but still, it is not a sure thing this will work when they have 6 of their projected 7 starters as hold overs from the old scheme. Only newcomer Justin Durant, the projected SAM linebacker in Monte Kiffin's scheme has every played a snap in a 4-3. That is a shocking reality of what the Cowboys are about to try to do. On the other hand, what you are about to see are the statistics that the Cowboys defense has amassed in 2012 with their old scheme. Now remember, health had a ton to do with another disappointing effort from the defense - so much so that the firing of Rob Ryan doesn't really seem fair based on 2012 performance - but, make no mistake; we should not be too bothered with the Cowboys trying a new defensive strategy moving forward. Trouble is, we know from experience that scheme doesn't make the team. Players do. Special ones. And, honestly, I have significant doubts that the Cowboys can be a special defense based on a scheme that requires a team to get pressure with only the front 4 (The Tampa 2 seldom blitzes) and is based on the cognitive skills of safeties to orchestrate the entire secondary. But, I will let the coaches sort through those issues in a long camp and see where it goes. In the meantime, let's try our best to sort through those 2012 numbers. When we did the offense, we found 5 great stats, 5 good stats, and 5 poor stats to analyze. Unfortunately, finding 5 great stats from the 2012 defense will not be easy, so I am forced to relabel the categories. Opponents Quick Strike Drives: Rated 9th in NFL with 28 drives of 4 plays or less. NFL Average was 41 drives and Playoff Teams averaged 31 drives where points were scored in 4 plays or fewer. As you can see, I am really scraping the bottom of our barrel to find 5 stats where the Cowboys rank in the Top 10 in the league. And let's be honest - none of them really seem to be a major category of excellence. Rather, they are subcomponents of larger categories. It is certainly good news that the Cowboys did not give up huge plays very often, but they did give up tons of other things - long drives and big time of possession ground and pounds. You do have to like that they made teams work hard for rushing yards and did not allow 4 yards a lot relative to the league. Also, it should be pointed out that the 5th stat I found - opponents' drives starting deep in their own territory is actually a stat that is reflective of strong special teams work - not defensive excellence. 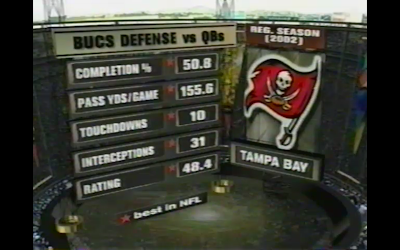 Overall, as you can see, there just wasn't much at all that this defense was really good at. So, we arrive back at the question of what is the argument for keeping the scheme and the coaching staff the same? Here we see that the squad did some things in line with the pack in the NFL. They weren't killed with yardage through the air and did a reasonable enough job with the clock and limiting the first downs. However, 67 explosive plays is at the low end of average and there just wasn't enough meat here to help when it mattered most. They found themselves behind quite a bit early in games and that actually might lead to some misleading numbers through the air as well. As you will see below, when QB's wanted to move the ball against the Cowboys, they didn't struggle to do so. Look at those opponent's passer rating numbers. So, first, just look at all passes. We have always talked about how 80 is the NFL average and 90+ is an elite QB. As you can see, the Cowboys defense made their entire schedule to be elite QBs. Then, with the blitz, they actually got even worse. They somehow conceded a 106.1 QB rating when they brought pressure. They also did not turn the ball over (again) and had fewer tackles for loss and sacks than almost anyone in the league. This is particularly depressing given the monster investment in the cornerback position last offseason. They just didn't make any plays on defense. They didn't take the ball away, nor did they make the opponent lose yardage and set up longer plays. They just didn't do much defensively that you can sink your teeth into. Moving forward, we look to better health, a new scheme, and better safety play (gulp) to improve upon things. But, looking at these numbers, you can see the reason some were scratching their heads when the Cowboys did nothing to address the defense of note in the early part of the draft or free agency. These numbers are the argument for Shariff Floyd or players like that could have added a playmaker to the front 4. But, they elected to look elsewhere and we will see if they end up regretting that. After several years of not being sure if the Stars were serious, it appears that we now have a hockey organization that is trying to do everything in its power to compete and to use its resources to work its way up the ladder in the NHL game of thrones. Now, before we get carried away, that shift in posture does make me want to defend the work of the predecessors of Jim Nill and his new staff. It is a completely different job description that he is being given than that of Joe Nieuwendyk or even Les Jackson/Brett Hull. Those guys were running a franchise that was either bankrupt, close to bankrupt, or trying to emerge from being bankrupt for most or all of their runs in the post-Doug Armstrong era. They were seldom given the ability to make bold strokes, almost never players in free agency (at least for those that teams actually desired), and if they ever made one poor move (Sean Avery, James Neal) than they were never able to fix it with subsequent moves because they had no more resources to serve as an eraser. You simply must understand that any personnel man in any sport is not going to be perfect, or even close. The gold standard for perfection these days in Dallas-Fort Worth is clearly Jon Daniels. Daniels, as many will confirm, had his hands dirtied with a number of poor deals with San Diego (the Adam Eaton deal), Chicago (Danks for McCarthy), and Washington (Brad Wilkerson) before finally starting to get things when Mark Teixeira set everything in the right direction. But, it was trial and error. It was swing and miss. It was a guy given the leeway to make a mistake and then fix it. The Stars brass has not been given the benefit of the doubt in a long, long time. That was the way it was and that time appears to be over (we think). But, let's not allow our common sense to be overruled by the knee jerk idea that Nieuwendyk just didn't know what he was doing. He had no resources and really, no chance. I believe that he will recover from this situation and have a fine career moving forward. Looking at the Stars cupboards, they have a wonderful collection of players that seem to be talented and capable of playing in the NHL between the ages of 18-24. They seem rather stacked in "solid" NHL talent and youth, thanks to the way the Nieuwendyk regime was able to flip assets for futures in the last two years. But, is there "elite" talent here? Is there a Toews or a Kane or a Hossa or a Keith? I believe Jamie Benn has a chance to be that player and on many nights is already there. What else? I am still holding out hope that Jamie Oleksiak can be a dominant top pairing defensemen when he has had enough time in the oven. Brenden Dillon took such strides these last 3 years that I wonder if we are foolish to act like we know his ceiling. Brett Ritchie has been described as a player with fantastic upside and there are other kids in the system that could be better than "solid". But, as it stands, the bin marked "solid" appears to be full and in great shape. But, the bin that allows a team to compete for Cups is marked "elite" and while there might be some potential in that bin, for the most part it is where much of the league sits normally - close to empty. They know this. They know that they have lots of 6's and 7's, but they need a 9 or a 10 to make this thing really sing. Of course, that is like a football team saying that they are a Tom Brady away from being a great team. That is both obvious and ridiculous - so is pretty much everyone. But, it is often true. Elite talent generally requires that you pick #1 or #2 or certainly in the Top 5 picks of a draft to get someone like that. In Chicago's case, Kane was #1, Toews was #3 overall. Like Crosby, Malkin, Ovechkin, and many of the best of the best, they are all gone very early at the top of the draft. If you never pick up top, then, like many other sports, you have to either get lucky or try to win with a collection of solid pieces, but never have the very best players in the game. In can be done, but it surely is not very likely. Which leaves the Stars with some interesting questions in a year where they have lots of money, lots of picks, and lots of holes on their squad. Do they combine these resources to go for a bold strike up the draft board? And here we sit, 14 days later, and the Stars have put 2 potentially elite talents in the middle of the roster. Wow. I cannot stress how awesome this makes me feel about the future here. First, at the draft, they were able to navigate around a number of issues and concerns to nab what many agree is a top 3-5 talent in the 2013 NHL Draft and take Valeri Nichushkin with the 10th pick. As you know from reading my draft preview, he was my #1 hope going into the weekend, so much so that I would have happily entertained trading up to go get him. But, the Stars and Nill held their ground and did not panic. They knew that KHL threats made him less desirable for teams up the board and if they were lucky he might fall right into their laps. He did, they have already signed him, and there have been some who have nabbed him as a prime candidate to win the Calder Trophy for NHL rookie of the year. Imagine that in a Stars uniform. Then, a few days later, after rumors had flown on draft weekend that the #10 pick might be able to be the pick to go get Tyler Seguin from Boston, the Stars landed the 21-year old talent without parting with that #10 pick at all. In fact, Seguin and Rich Peverley arrive with the ability to be 2 of the top 3 centers for the Stars when the season opens in the same trade. Yes, parting with Loui Eriksson hurts, as does Reilly Smith, Matt Fraser, and Joe Morrow (we hardly knew ye), but in effect, they flipped Brenden Morrow for Peverley, and Loui Eriksson and 2 kids for Seguin - a guy who everyone who follows hockey agrees that he possesses elite ability and just needs a chance to be a center with tons of ice to work it all out. You want elite? How about a 18 year old winger who looks as fast and strong as Rick Nash? How about a 21-year old center who is locked up for 6 years and can instantly allow you to slide Jamie Benn to his left for the next half-dozen years? This is amazing. Make no mistake - there are no sure things here. Boston is telling us that Seguin is an underachieving party animal who should not be allowed to Tweet. Russian stars do use the KHL leverage as a tremendous crowbar when contract time arrives and they can certainly go into a dark place where nobody can deal with them. This could go horribly wrong. But, the Stars now have 2 world class players who might be the two most talented youngsters they have had in their group since....they played in Minnesota? I don't mean to get carried away, but let's remember this isn't a franchise that has ever had nor wanted to have players this young carry the franchise since the days of Mike Modano and Derian Hatcher could barely grow whiskers. But now, joining the old man, soon to be 24-year old Benn, the Stars have the makings of a team that can roll out fantastic forwards with world class skill - potentially all on the same line and power play. They have to grow them right and slowly, but they finally have the pieces in place. They also have a top 10 payroll for the 2013-14 season with some other acquisitions that will prove helpful, including Edmonton's Shawn Horcoff and Dan Ellis to backup Kari Lehtonen. We can visit about their impact sometime soon. But for today, please understand that while many people are squawking about the relative merits of a twitter account that Seguin operates with varying levels of effectiveness, I am celebrating the on-ice impacts of Valeri and Tyler and that the Stars now have a new day dawning. They have found more "elite". And apparently are looking for even more.